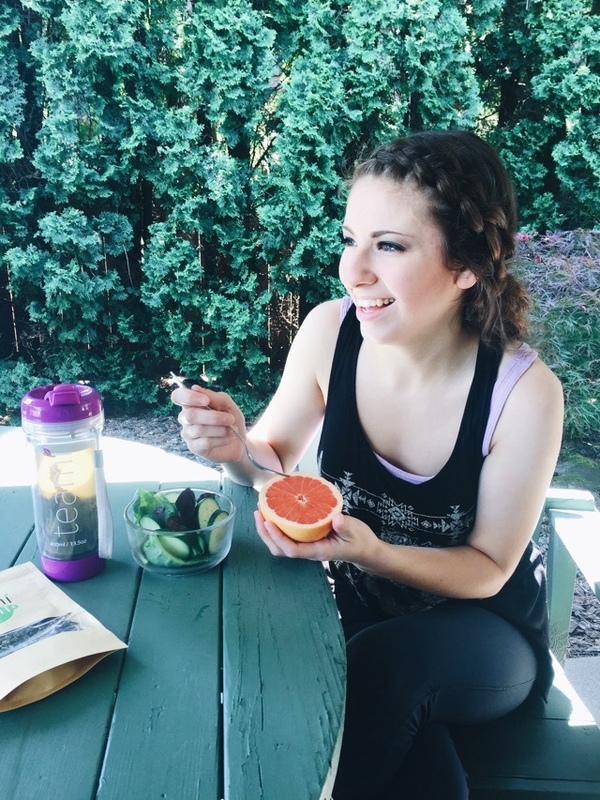 I am really excited to talk about Teami blends today! 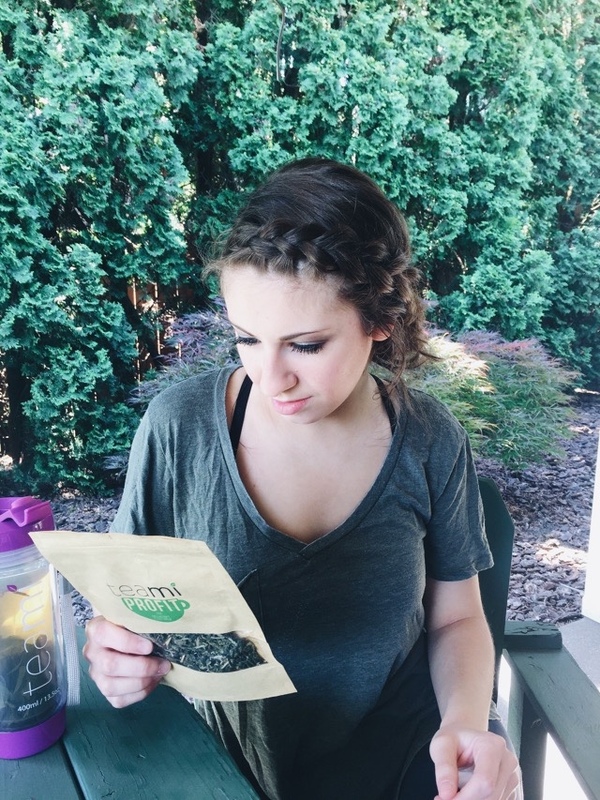 Teami is one of my favorite tea blends that I have had the pleasure of trying so far. 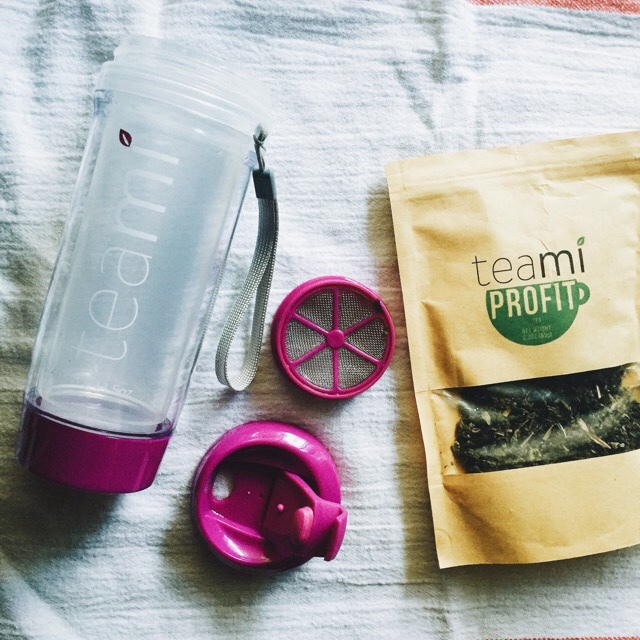 Profit is a calm blend that is naturally caffeinated and promotes balanced energy. When it is steeped, it doesn't have a disgustingly strong taste, it is just a joy to sip and take in all the benefits this blend has to offer. 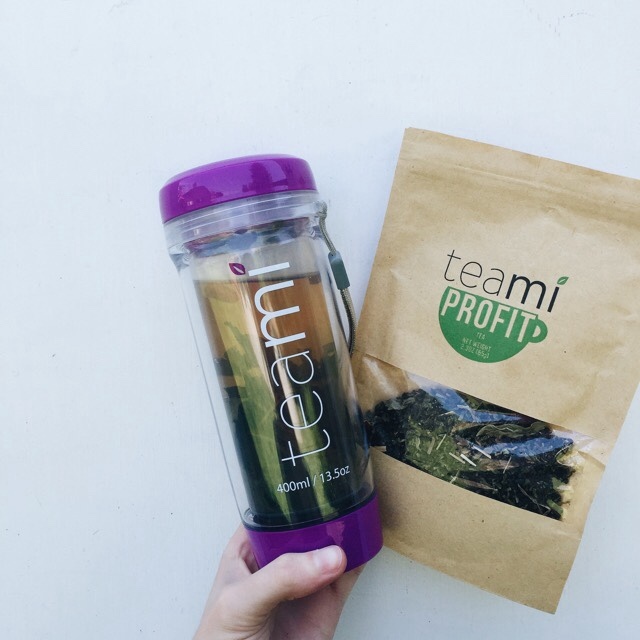 I decided to try out Teami Profit and try out Teami's adorable tumbler to get the full Teami experience. I have to say that replacing my morning coffee with healthy Teami blends has helped me feel a lot better. Instead of a jittery and anxious energy boost that comes with coffee, Teami provides a calmer energy that helps wake me up and feel great all day. I decided to get Profit because it is made with ingredients that help promote an even complexion and soft skin. 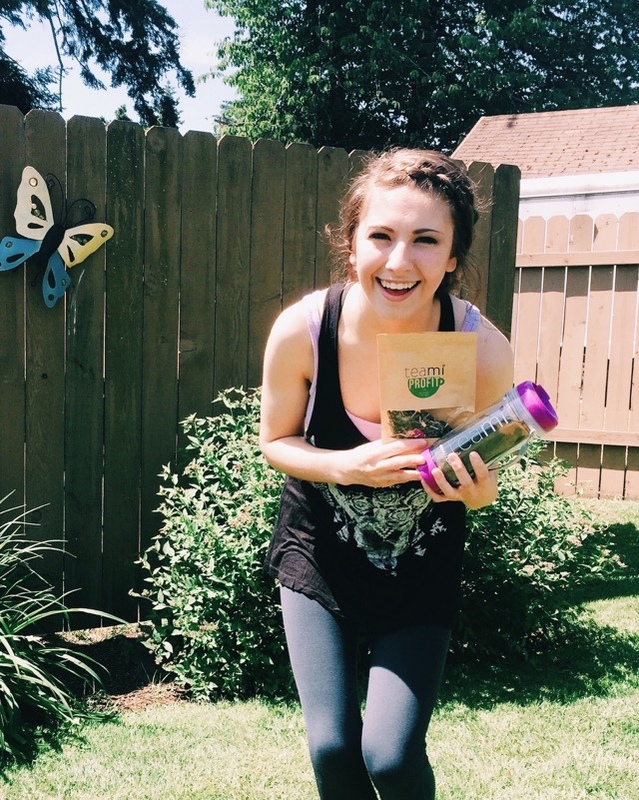 I am always looking for teas that help promote outer beauty, and I love that I am hydrating my body, and promoting healthy red blood cells every time that I sip this beautiful tea. Another way it promotes outer beauty is that it detoxifies your internal organs. Skin that is dull and tired may be a result of organs that need a little rejuvenating. That is where Teami blends comes in handy! I am really glad that I invested in the Teami 400ml tumbler. It makes it so easy to travel with my tea wherever I go! Plus, look how dang cute it is. Teami has their tumblers available in an array of cute colors. I really like my purple tumbler though, I think it is just perfect for me. When I was first looking into Teami blends, I was a little confused on the way their tumblers worked, so I wanted to show the "anatomy" of the Teami tumblers. 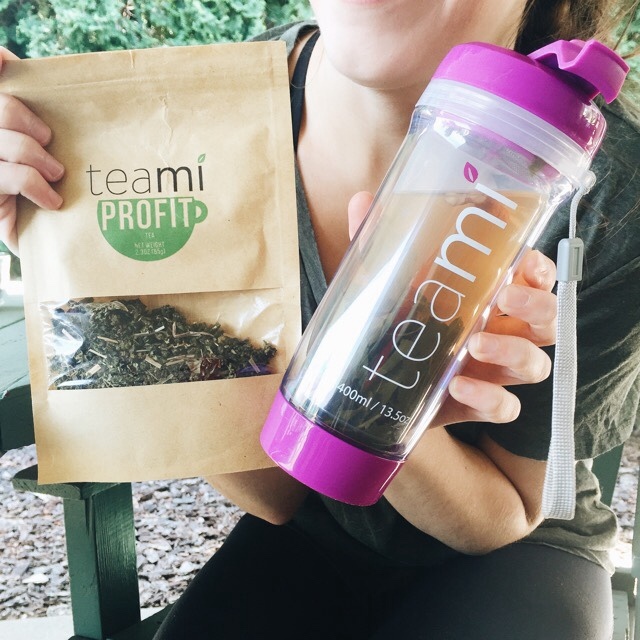 The Teami tumblers are BPA free plastic but can withstand hot temperatures for hot tea. It is insulated, and comes with a tea strainer so you don't drink the tea leaves (which is perfectly fine if you do because the tea leaves have nutrients and fiber that are important to our diets). The strainer fits inside the tumbler, and the screw-on cap with a pop-up lid fits atop the tumbler. 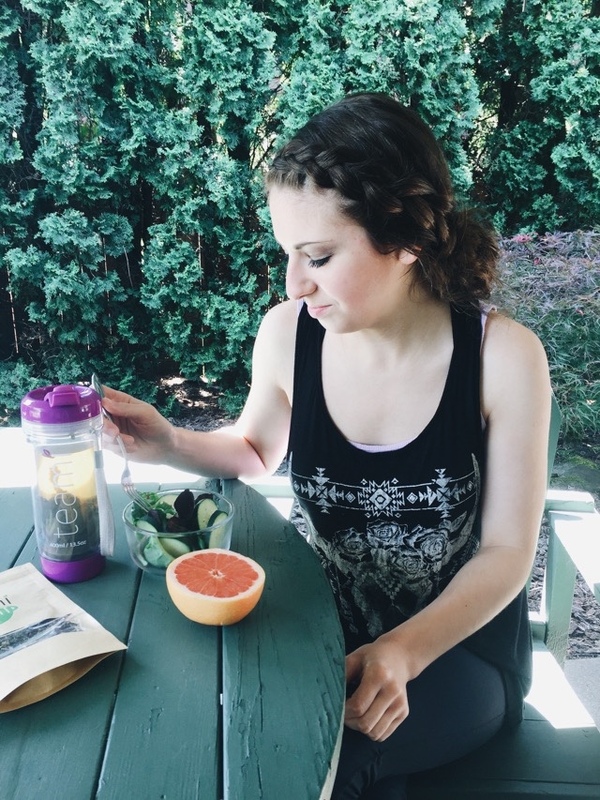 The bottom portion of the tumbler is an extra container for a small snack or for extra tea for later. I love taking my tumbler on the go with me. The lid is secure, so it prevents spills. You could knock it over, and not lose any of the precious tea. It is a major plus. I am not the kind of girl who salts her food, or adds extra sugar to her coffee or tea, but sometimes I like to add a teaspoon of agave nectar to my Teami. It enhances the flavor, and makes it so yummy. Teami blends are sweet enough on their own, and so tasty of course, but on occasion I like to add the agave. 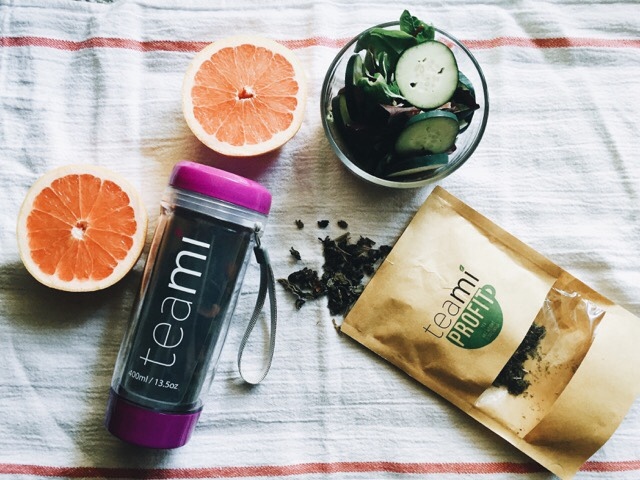 I have noticed that with drinking Teami blends, it has improved my digestion. My stomach is rather sensitive to really acidic foods, or sugary foods, and sometimes when I eat those foods, my I experience a dreadful burning sensation in my stomach. It is no fun! I have noticed that when I drink my Teami, I don't experience the burning feeling. It is wonderful! Something in the tea must alkalize whatever is bothering my stomach. 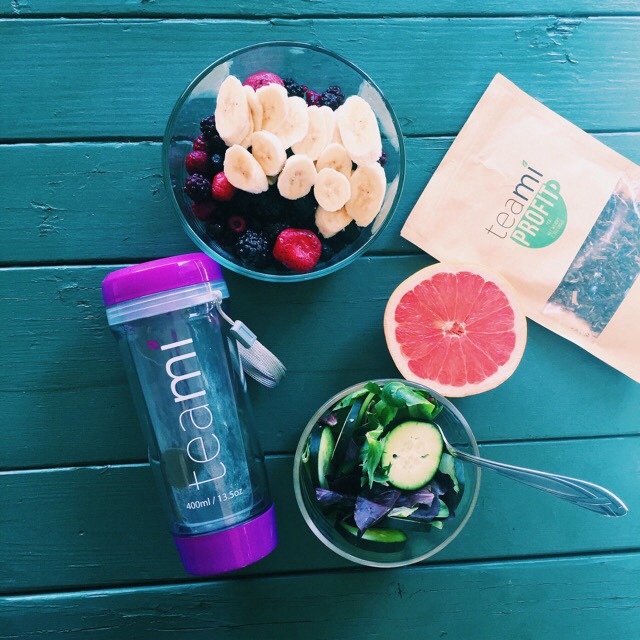 Teami has also inspired me to keep eating healthy, and make healthier food choices. When I feel like I want to shovel in a couple dozen doughnuts, I know that is time for a tumbler of Teami, and that will usually guide me in the right direction I encourage everybody to give Teami a try. If you are feeling blah, or need some rejuvenation, try Teami blends. Visit their site, and browse the other Teami blends they have and take a look at all their tea accessories. If you feel the tumbler is not the route you want to go, try their super cute tea infusers. 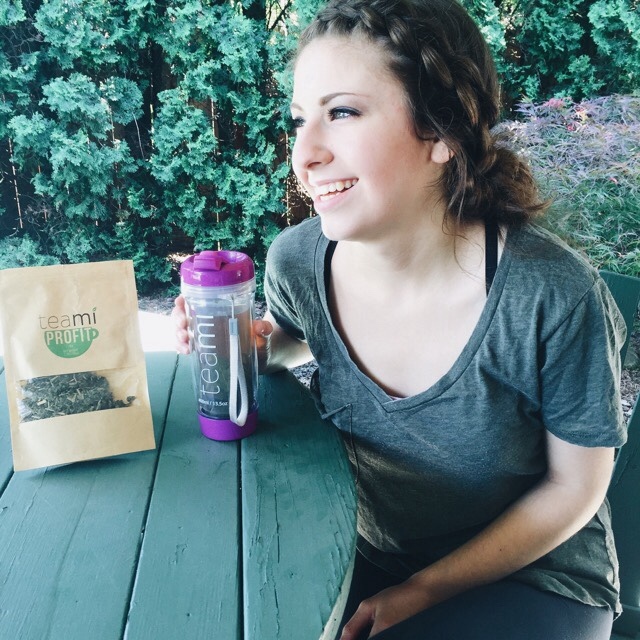 As Teami Blends says, "It's not just tea, it's a lifestyle!" so take part in the Teami lifestyle today.